Description Scanned as B & W; mounted on cardboard, heavily creased. See photo 1565 which is a clean copy of the same photo. 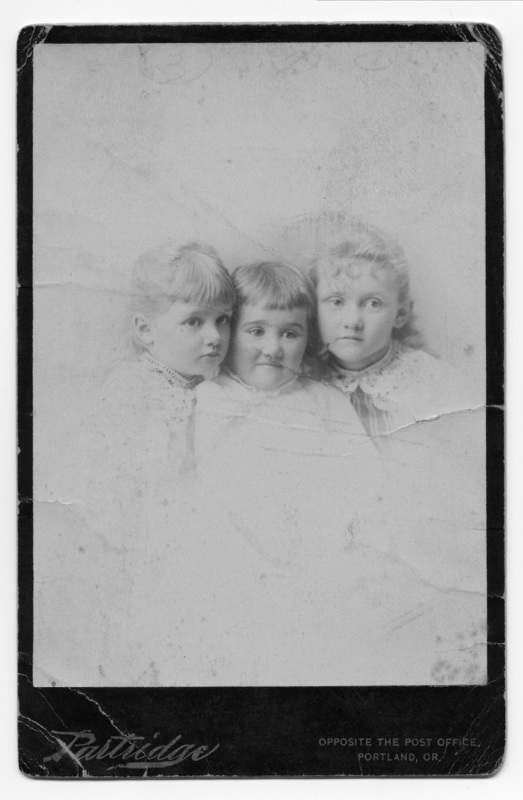 Left to right: Marie, 4; Francette, 2; Lulu, 6. Printed on front: Partridge, opposite the Post Office, Portland, OR. Written in pencil at top on front: 3, D O. Physical Description H 6 1/2" x W 4 1/4"